Private lot with entrance on the Clement side and street parking. Full Catering from weddings to appetizer parties. The Park Street Tavern features Modern Central Mediterranean cuisine. Went here for my birthday. It's a cool little spot. Very nice wait staff. Glad I went. We had never been to The Park Street Tavern and found it in a google search. We liked it. The service was friendly and timely, the food quite good, and the ambiance is lovely. Highly recommend this restaurant. MY friend and I enjoyed the food and the service . The ambience was extremely pleasant. I would return there for another meal. The food was delicious, waiters very friendly, and a great time was had by all! I had the salmon entree, w/mash & veg. The side of mash & veg were extremely small. I was hungry again with 2 hours of leaving. It tasted great (fresh & nicely seasoned), it just wasn’t enough. I had a glass (well, two :-)) of Moscato with my meal. No dessert. My friend ordered the beet salad and added chicken (for a gluten-free meal) and she had the Rockwall (red wine). Her meal looked HUGE compared to mine. I will likely return, but may order something more hearty to last longer than 2 hours (maybe the lamb shank). One of the best restaurants in Alameda. Used to be the Gold Coast Grill, which was equally as good. The new owners have kept all that was good about their predecessor. The clams have always been consistently fresh and sweet. My fav. I have a couple of tests for a restaurant: do they make a good Caesar salad, and do they make a proper French Onion Soup (if it's on the menu). 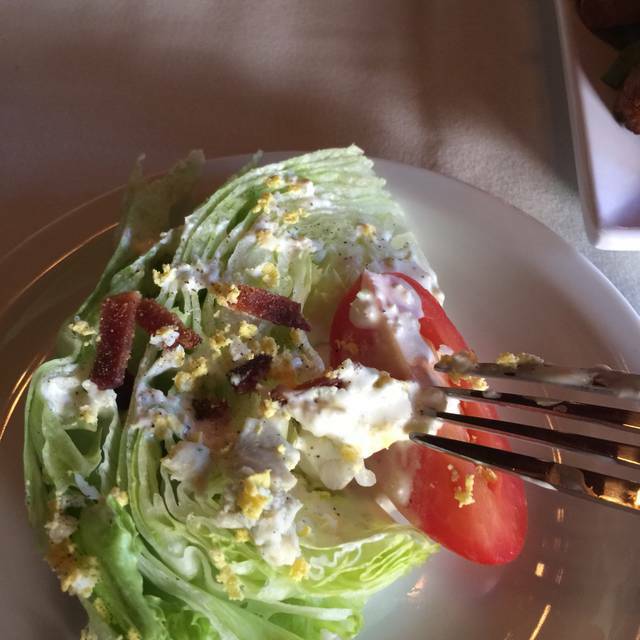 Check on the Caesar--simple, not too much dressing--so many places think they have to "glorify" a Caesar. I say, just do it right. No on the FOS--I wish they had it on their menu b/c I bet it would be excellent. Also wish they had a couple of desserts incorporating fresh fruit on the menu. They have fruit as garnish, which are well chosen. Maybe a fresh homemade ricotta with a fruit compote? And of course, the best service--these people know what they're doing. Everything is above par here. Our third visit. All good. Our server was outstanding and meals delicious. 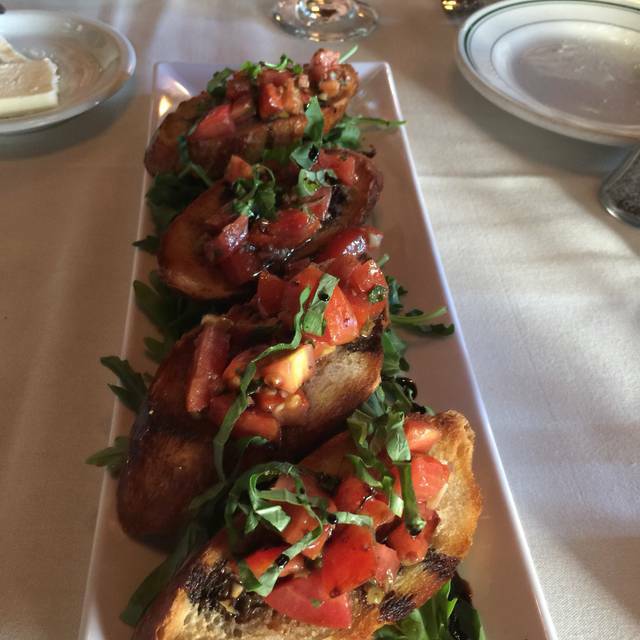 Incredibly tasty food, friendly and personable servers, and a warm ambiance! Would definitely recommend Park Street Tavern for a date night or special meal with friends and family. Overall, pretty good. We weren't to happy with the bar drinks (hot buttered rum lacked rum) but the food was good - although just a bit salty. The food at the Park Street Tavern is terrific. They have a wide variety of offerings that will satisfy a diverse group of appetites. I really enjoyed going to the Tavern. I have not been there since it was the Gold Coast Grill. The Tavern has done a wonderful job with the ambiance and the food. I definitely will go back there. Excellent staff, excellent food. Only second time there, treated like life long friend. One of the best spots in town! If you're looking for exciting, hip new places....don't look for it here. This is quiet, relaxed, comfortable (gasp - upholstered booths! Aisles wide enough to walk down without edging sideways! ), Cal-Italian comfort food. You can talk to your friends without having to scream across the table (what a novel concept these days). The portions are properly sized - not humongous but way more than two-bite tantalizers. Salads are sized to share, however. Service is excellent; good timing; knowledgeable without being pushy or condescending. Love the spinach risotto and the salmon is cooked precisely as requested. Small parking lot; decent street parking. The fresh fish special was excellent. We went last weekend with our family and our family friends. We all really enjoyed our food, though it was on the pricey side for what we felt we got. I had the chicken piccata and my husband had the veal scallopini/piccata. Both were super tasty and perfectly prepared. But what makes The Park Street Tavern stand out is the service. The hostess and wait staff were very friendly, talkative, and funny. It was a birthday celebration and the waiters sang a whimsical interpretation of "Happy Birthday" that had everyone laughing. It was a lovely evening. Been meaning to try Park Street Tavern and really glad we did. A pleasant surprise. Food was really good and service was excellent. I look forward to going back again in the near future. Very nice menu. First time visit. The veal was delicious. Service great! We will be back! Great food and personable service. This is one of our favorites. Birthday celebration for a party of 6 adults. I had the Eggplant Parmesan which was superb. It’s a very warm atmosphere with very friendly and pleasant hosts and excellent and courteous waitstaff. Last time I was there I ordered the Lamb Shank which was also excellent. 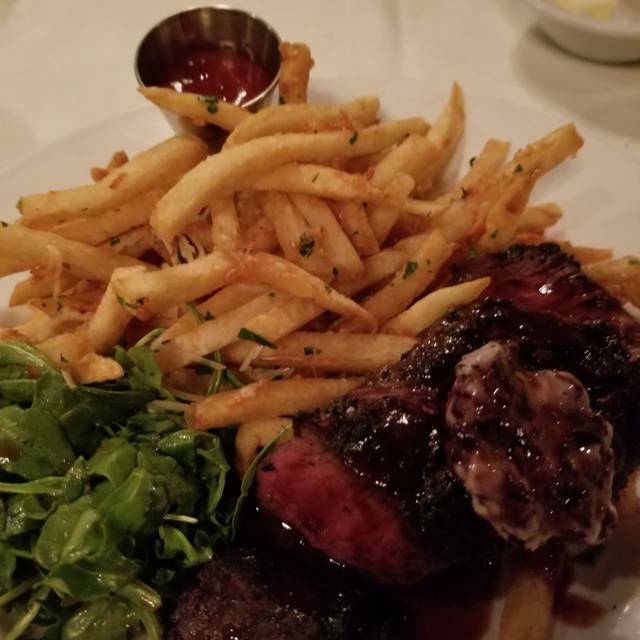 Try Park Street Tavern for your next dinner out. You will be pleased. The food was very good. The chicken piccata was nicely done and the salmon was good too. I liked the family atmosphere. 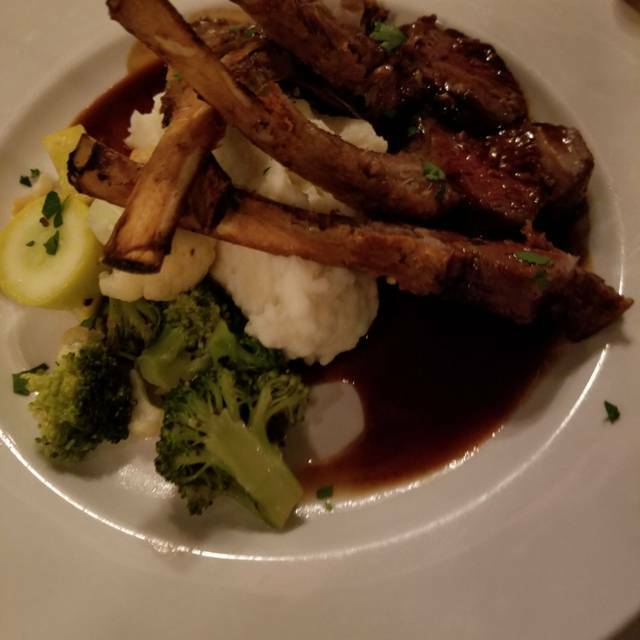 There are a lot of restaurants in this price and quality range in Alameda, Oakland, and San Francisco, but definitely the family run atmosphere and food of the Park Street Tavern is solid! This place has what many restaurants these days are missing: relatively quiet, professional waitstaff, white tablecloths, large portions....and great food! Not cheap but reasonable prices for the quality. Even parking lot at the back. 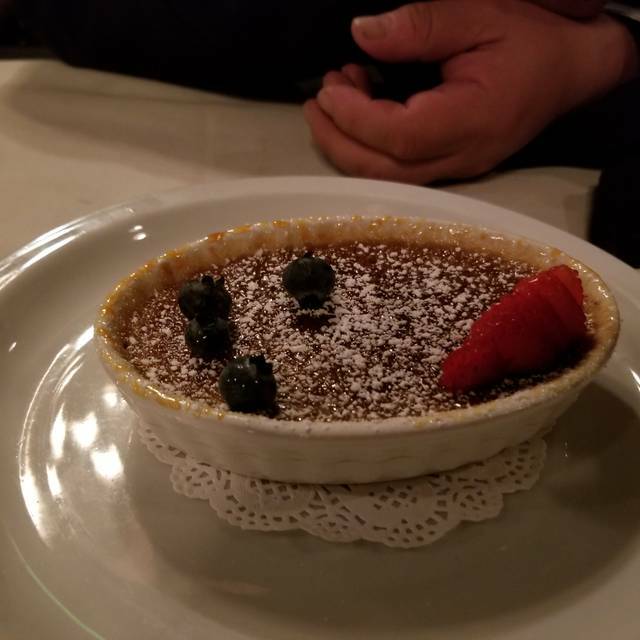 Lamb shanks are delicious, pasta too, and the chocolate torte is to die for (we added a scoop of vanilla ice cream which made it even better). Great food and service in a nice restaurant. Good variety of choices, good for special occasions or just a nice dinner. The food was not prepared very well. The fries were burn, the clam and linguine were cooked terribly. Never thought that I could posted a bad review like this. Great for date night! Wonderful service and good choices on the menu. Love their martinis! We enjoyed our first visit to the Park Street Tavern very much! Our server, Naser, was very personable, helpful and enjoyable. The three entrees we chose were the Penne Arrabiatta, Hangar Steak and Salmon with Spinach Risotto. All were ample size, prepared well and very tasty. We shared between the three of us a baklava and greek coffee creme brulee for dessert. Again, they were both very satisfying and a perfect way to end a lovely meal. Looking around the room, everyone seemed to be enjoying their meals so you should definitely try this place soon! We will go back for sure - there were several other menu options that I would like to try. Some items were better than others. Spaghetti was yummy. Chocolate torte was delish. Unfortunately, there were a few disappointing items. Ambience is a little lacking and a bit chilly. Service, however, is great. Our food server was so accommodating and personable. Celebrated a birthday. Great experience. Everyone loved the food and the service. Loved this place when was the Gold Coast and hoped the same great food would continue when Park Tavern but it needs some work. We ordered a Cesar salad to share and we were brought one salad and an extra plate to split our salad ourselves. Our entree went from fabulous to not so good. One member ordered the Salmon over Spinach risotto. It was hot, delicious but arrived 3-4 minutes after other members of the party were served. Three members of our party ordered Veal Marsala, the veal was as thick as a pork chop, tough and the pasta it was served over was on the cold side. We ate here New Year's and everything was good. Not sure if they have all the kinks worked out yet. Will give them another chance especially to have the great Salmon! A classic restaurant, a welcome addition to Alameda. 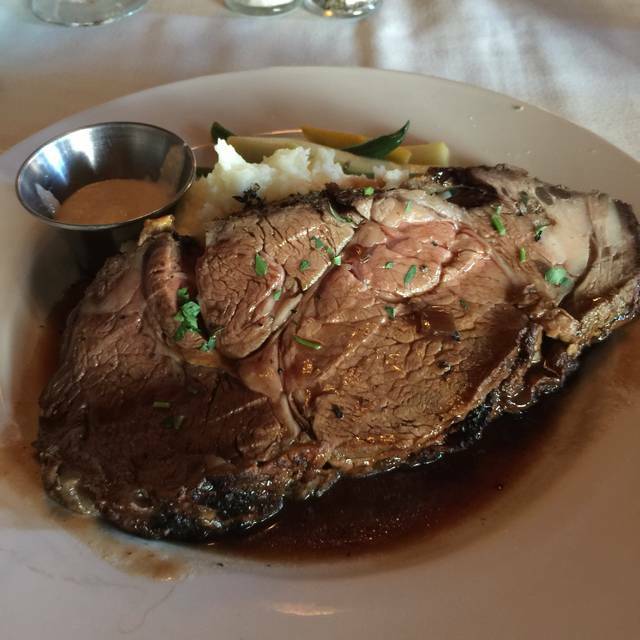 The menu is also classical, and well executed, the portions are ample. The service is efficient and friendly. Especially good place to go to when you crave a good piece of meat, but many other specialties available also. The entrees (Greek Cobb Salad and Orzo with Salmon) did not disappoint, but the bread and chocolate tort were addictively delicious! Definitely will go back. The service and food were excellent. Really enjoyed the experience.